This dairy-free chocolate cake recipe is as close to the real thing as it gets. With traditional-tasting frosting without the guilt, there will be no leftovers of this one after you make it. This cake is great for kids' birthday parties, company potlucks, or family gatherings as well. It is not only lactose-free, but soy-free and nut-free as well, to accommodate a variety of allergies, food intolerances, and restrictive diets. Heat the oven to 350 F. Lightly oil two 8-inch-round cake pans and dust with a sprinkle of cocoa powder. Set aside. In a medium-sized mixing bowl, sift together the flour, cocoa powder, baking soda, and salt. Set aside. In a large mixing bowl using an electric hand mixer at a high-speed setting, cream the shortening with the sugar until fluffy - about 4 minutes. Add the eggs, one at a time, beating well after each addition. Add the rice milk, maple syrup, and vanilla, beating until combined. Using a wooden spoon, stir the dry ingredients into the wet in several additions until just combined. 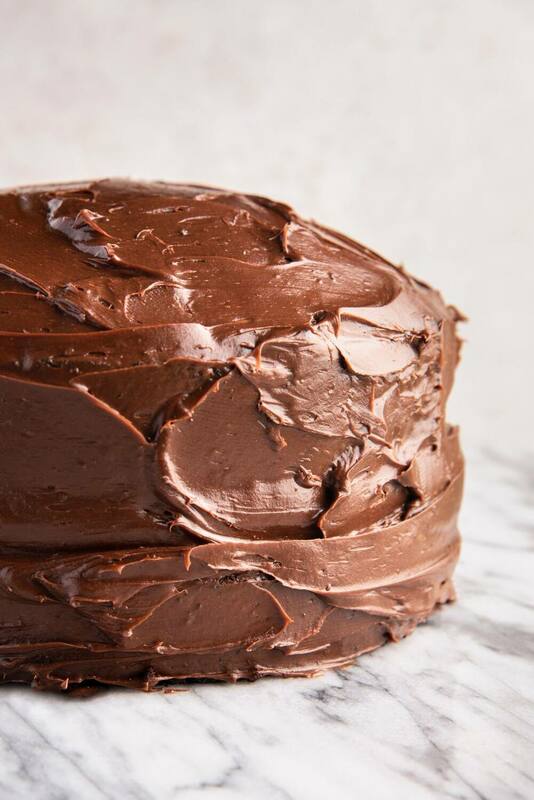 Pour the cake batter into the prepared cake pans and bake for 30 to 40 minutes, rotating halfway through, or until a toothpick inserted into the center of a cake comes out clean. Allow cakes to cool completely on a wire cooling rack before frosting with a dairy-free frosting of your choice. This recipe is suitable for dairy-free and lactose-free diets but, as with any recipe intended for persons with allergies or dietary restrictions, make sure to read all nutritional labels carefully to make sure that there are no hidden dairy-derived ingredients (or other allergenic ingredients, if these apply to you). Place one cake bottom-side down on a serving platter. Spread with a dairy-free frosting of your choice, then top with the other cake, bottom-side up. Using an offset spatula, frost the top and sides of the cake.